Are you looking for the romance of a beach wedding, framed by the sun setting into the turquoise waters of the Gulf of Mexico? 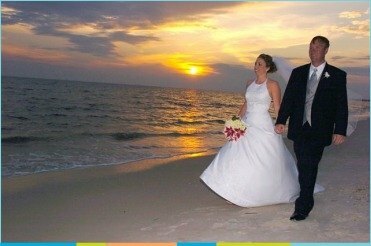 Consider Mexico Beach for your beach wedding. Whether the ceremony is on the sand or in a chapel just beyond the dunes, Mexico Beach is the place.